Jay Battershell has been providing IT Leadership, Consulting and Managed Services to global businesses for over 25 years. As a current Partner of Clearview, Jay is responsible for leading and growing Clearview IT services including Data Center Hosting services (with 3 data center locations in the DFW and Waco areas), Cloud Services, and IT Consulting. As a senior executive at Clearview, Accenture, LSG Sky Chefs and Uniden America, Jay has demonstrated successful leadership of IT organizations and IT outsourcing teams in the delivery of business results while continuing to decrease the total cost of ownership for IT. 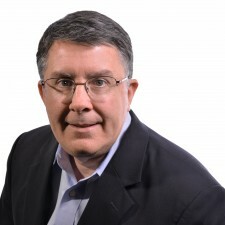 He has provided IT leadership and services for businesses of various scope, size and maturity from startups to Fortune 500 firms and has held key roles in sales, planning and delivery of vital business solutions (including ERP, supply chain, back office, and B2B) and the transformation of business functions through organization change, governance and strategic alignment, and sourcing solutions. On a personal note, Jay and his wife Tara live in Grapevine, Texas, and have three sons, Travis, Garrett, and Luke. Jay is a 1983 graduate of Baylor University with a degree in Computer Science. In 1996, Jay completed the Executive MBA from Baylor in Dallas. Jay and his family are active members of Fellowship Church in Grapevine where they serve in various Children and Adult ministries.